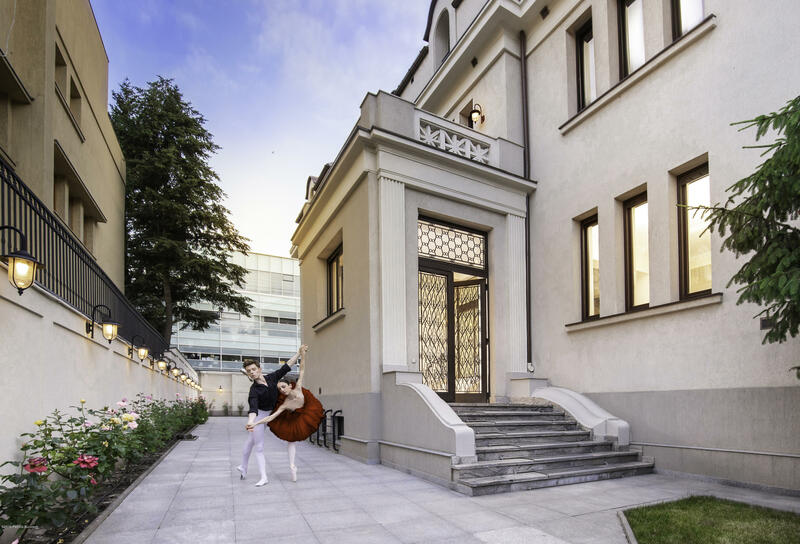 The villa - built in 1930, consisting of B+GF+1st+Attic, was totally consolidated and refurbished in 2008. Featuring high and generous rooms, it is set on a plot of land of 647m2 and has a free yard arranged by approx. 325m2. 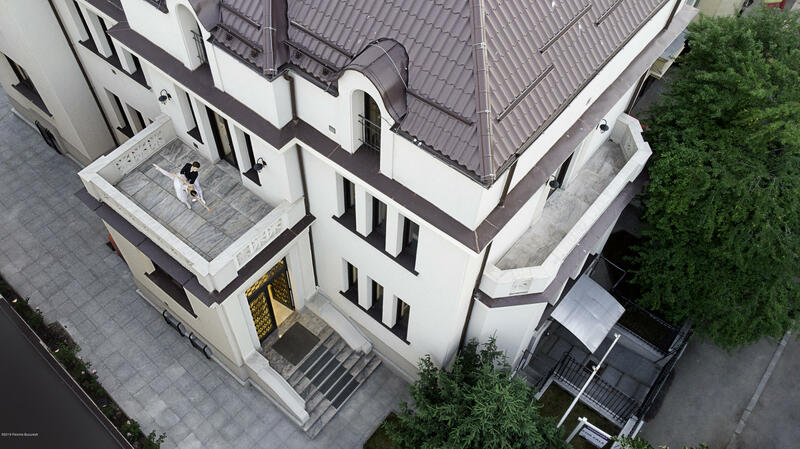 Located in the most prestigious area of the Bucharest, near the Kiseleff Park, the Ministry of Foreign Affairs and near the Embassy of Germany and Poland, being itself as the former Spanish Emabassy is located at 43, Aleea Alexandru street. Built in 1930, the building has benefited from total renovation and consolidation in 2008, keeping the architectural line and design-specific motifs of the era. Besides, the building is on the list of historical monuments classified as B-II-m-B-17974. 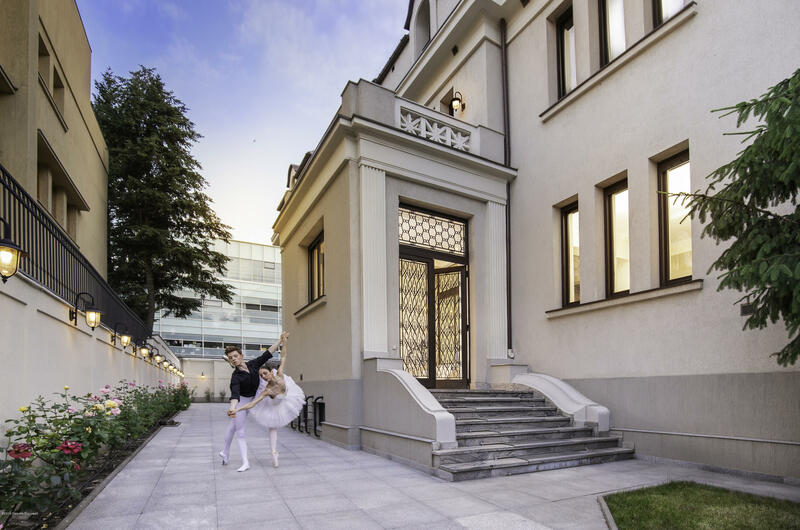 Without excluding the residential option, due to the very large rooms, the building is recommended as an official space for a diplomatic representation, office representation, banking institution, etc.). The 3 main levels of the building GF+1st+Attic, are united by a spectacular circular glass staircase on the metallic structure. Keeping the structure and the specifics of the houses from the beginning of the century, the access between the floors, including the semi-basement is done through the second staircase with built-in steps. -The property has a separate A/C system and an independent diesel powered electric generator of 80KW. Situata intr-o zona de prestigiu a capitalei, In imediata apropiere a parcului Kiseleff avand ca repere de vecinatate Ambasada Germaniei, Ambasada Poloniei, Ministerul Afacerilor Externe, ea insasi gazduind in ultimii zece ani, pana de curand, Ambasada Spaniei, cladirea pe care v-o propunem la vanzare se afla la adresa Aleea Alexandru nr 43. Construit in 1930, imobilul a beneficiat de reconditionare totala in 2008, pastrandu-se linia arhitecturala si motivele de design specifice epocii. Dealtfel, cladirea se afla pe lista monumentelor istorice clasificata cu numarul B-II-m-B-17974. Fara a exclude varianta de utilitate rezidentiala, datorita incaperilor foarte ample, cladirea este recomandata ca spatiu oficial (reprezentanta diplomatica, birouri, institutie bancara, etc.). Cele 3 nivele ale cladirii, P+E+M sunt unite la vedere printr-o scara circulara de sticla pe structura metalica. 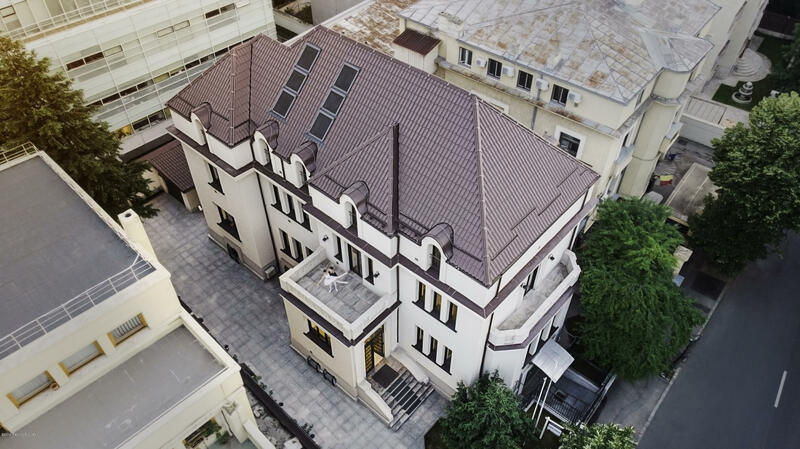 Pastrand structura si specifcul caselor de la inceput de secol, accesul intre etaje, inclusiv demisol se face si prin scara ascunsa cu trepte zidite. Remarci Publice The villa - built in 1930, consisting of B+GF+1st+Attic, was totally consolidated and refurbished in 2008. Featuring high and generous rooms, it is set on a plot of land of 647m2 and has a free yard arranged by approx. 325m2.